Received a notice today that the expat community is doing a fund raiser to help the homeless in Moscow. 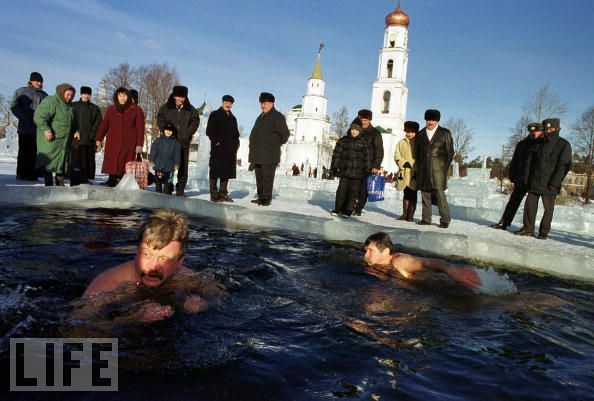 It's an ice swimming, aka "snow bathing", event at the end of January. I thought Steve would really enjoy this - so I signed him up - plan to share the surprise when we arrive in the parking lot the morning of... It's my duty to make sure he takes in the Russian culture - is it not? He's an Ironman for gosh sakes - he'll probably snap off 3000 meters of invigorated training!